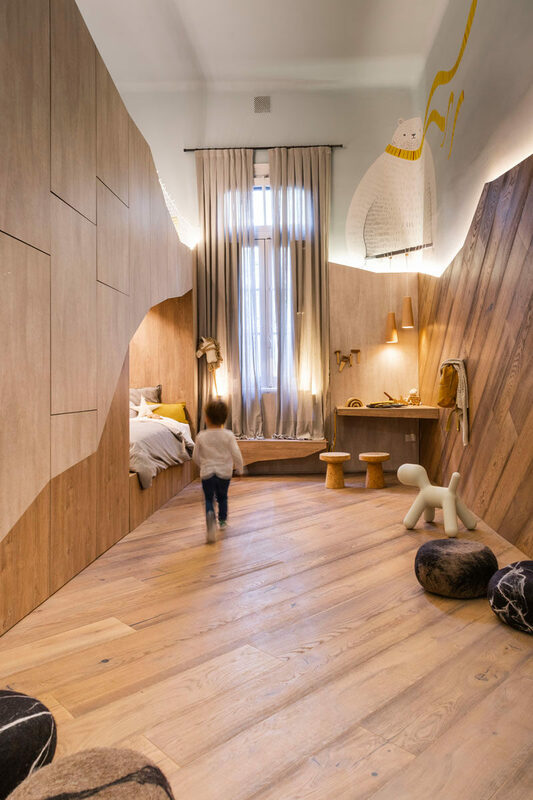 Interior designers Ludmila Drudi and Carla Barconte of Estudio Plök, collaborated with architect Mariana Paccieri, to create a unique kids bedroom for Casa Foa 2018, an architecture and interior design trade show in Argentina. 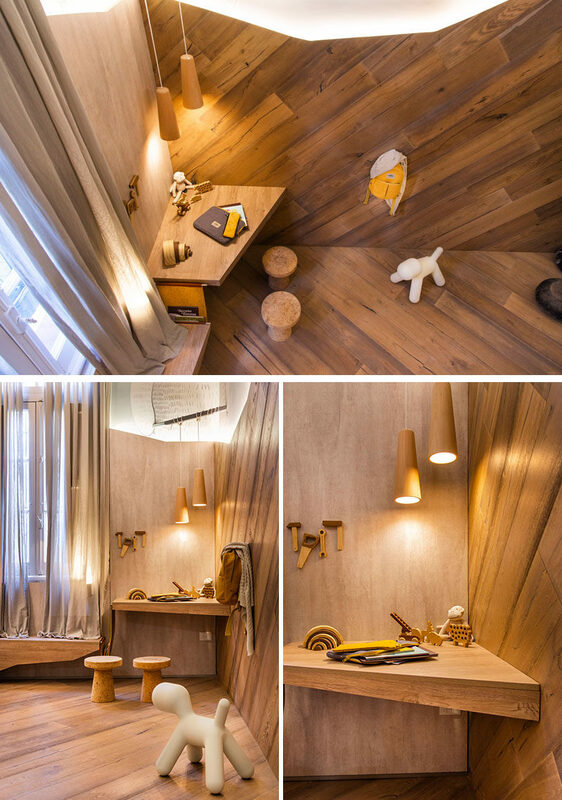 Drawing inspiration from the very thing the project is named for, #thebearscave uses wood and lighting elements to create a unique atmosphere that encourages playfulness. 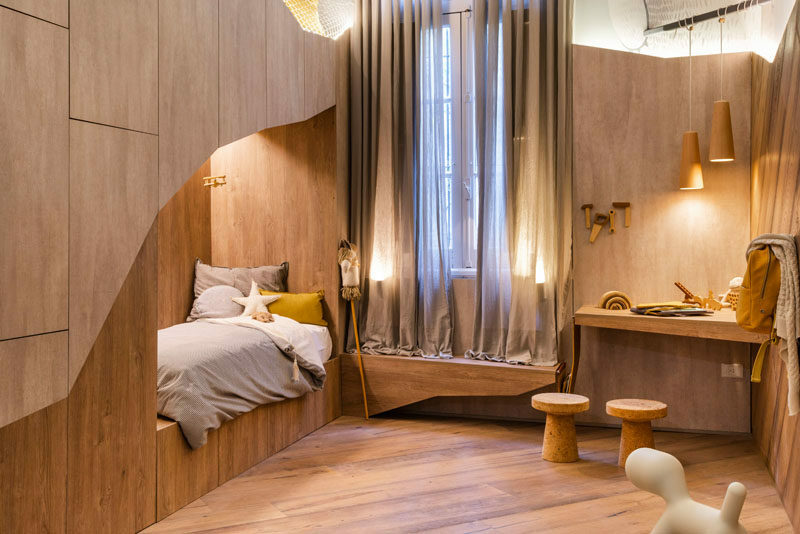 The main bed reflects the design and as a result, has been located within a wood ‘cave’ with lighting. 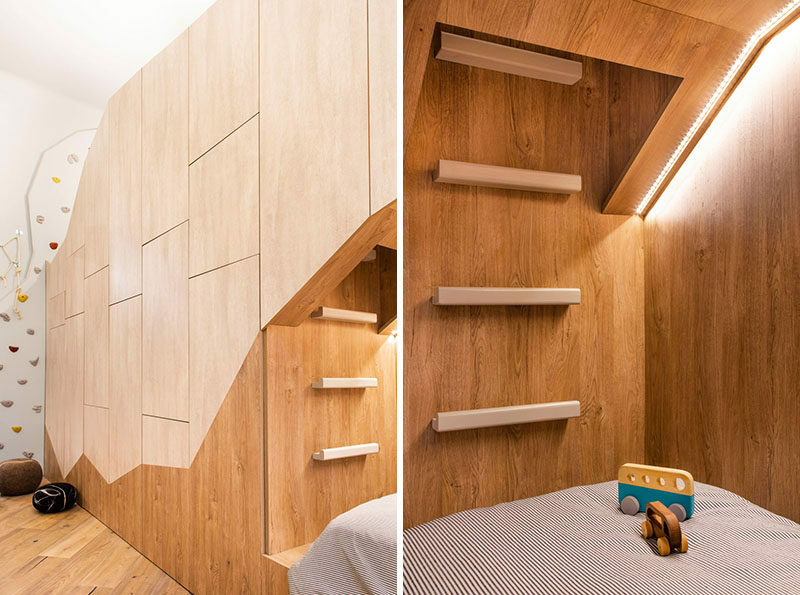 A pull-out trundle bed is hidden beneath the main bed for when guests stay over. 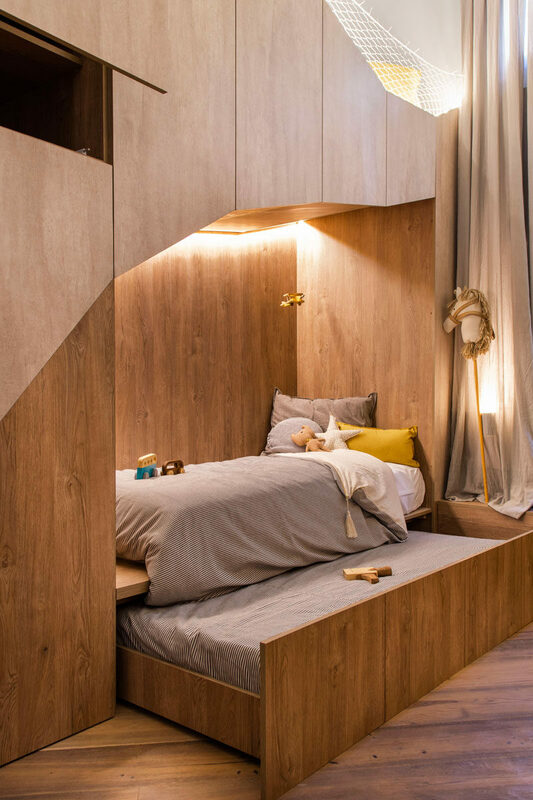 At the end of the main bed, there’s a ladder that leads up to yet another bed. An alternative option of getting up to the bed is by using the climbing grips that have been installed on the wall. 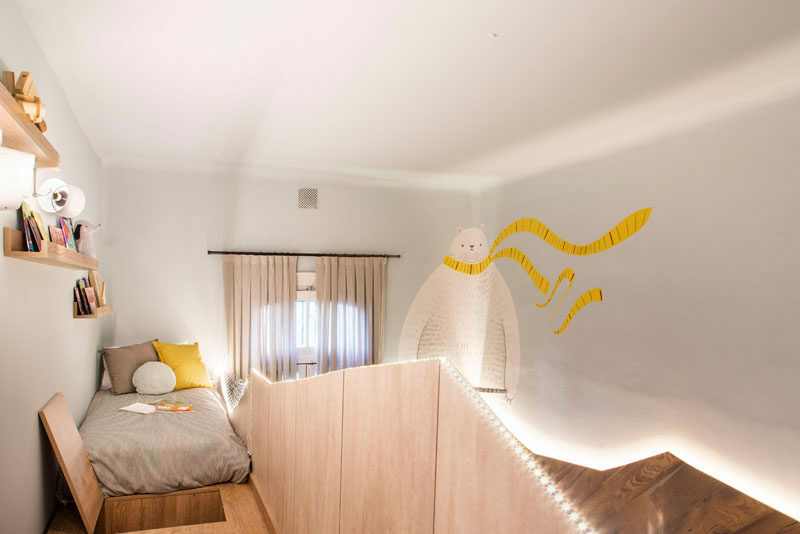 The upper bed has a view of the large painted polar bear mural on the opposite wall, and access to wood shelves that hold books. 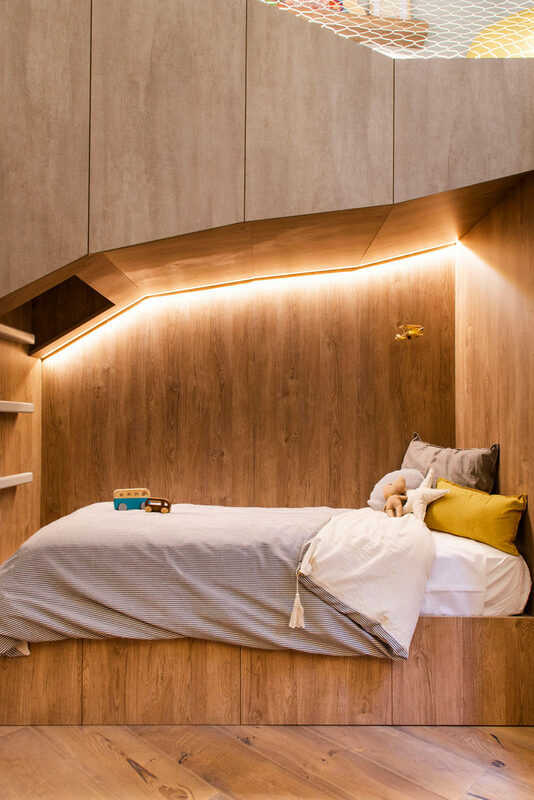 A safety net has been added beside the bed to stop someone from falling out, and lighting follows the line of the custom bed unit. 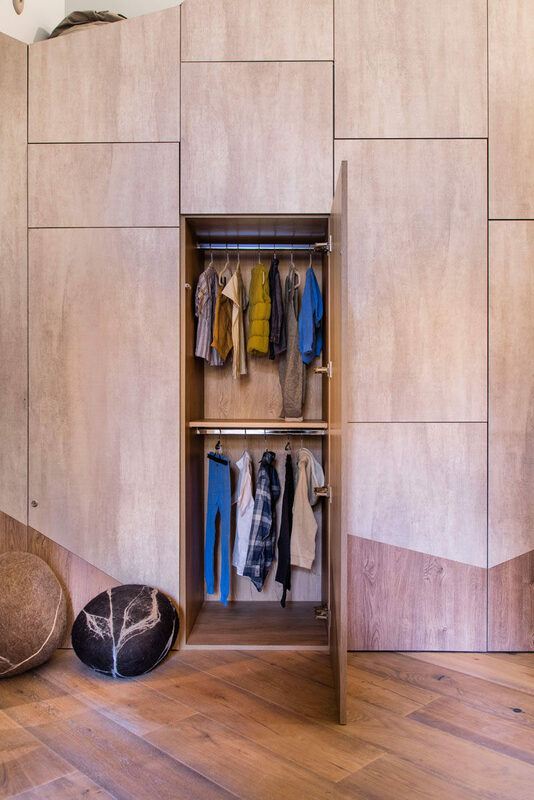 A variety of closets are hidden within the design of the bed unit. Diagonal flooring continues up onto the wall, and in the corner, a small angled desk area is positioned beneath two hanging pendant lights. Connecting the bed to the desk is a small wood bench under the window.